To All the Boys I’ve Loved Before 2: Still Lovin’ could be more than just the title of the mostly wholesome, flirty fanfic living in my brain. According to Deadline, everyone involved with the smash Netflix teen rom-com would like to see a sequel. 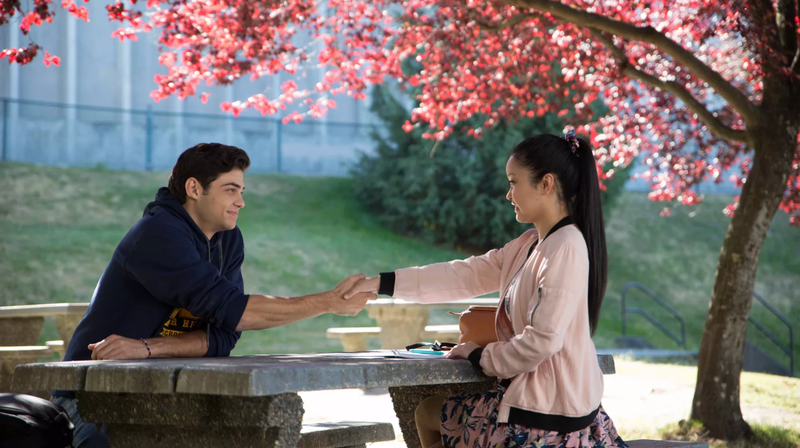 Lana Condor, who stars as Lara Jean in the film, told an audience at the Vulture Festival in Los Angeles on Saturday, “The whole cast would love to do [a sequel].” Jenny Han, author of the YA novel on which the movie is based, jumped in, “I think we all would love for that to happen. Everyone has said that.” Okay, confirmed. While nothing is under production and the conversation really hasn’t gone beyond the rumor mill or a mutual desire for more from the team, it’s nice to know that everyone involved—and not just fans horny for Noah Centineo to place his hand in their back pocket—are game for a part deux. Here’s some more to chew on: Han’s To All the Boys I’ve Loved Before book has two more installments: P.S. I Love You and Always and Forever, Lara Jean, published in 2013 and 2017 respectively. There’s a bunch of material to pull from—judging by that fact alone, it seems like this is a question of when, not if.